Oh Salmon, how we adore thee…Thank you for being one of the world’s healthiest and most delicious foods. Universally praised for keeping anyone with really any type of health condition strong, you are jam packed with those treasured Omega-3s and vitamins A, B and D! And salmon is also so flexible, perfectly tasty simply seasoned with salt, pepper and lemon; or coated with a glaze, I’ll take salmon any way I can! Fresh Sunday mornings, especially after a rainfall are just the best. They’re even better with a warm cup of coffee and a deliciously healthy breakfast to start off the day! I always make it a point to cook breakfast on these days off because I hardly get the time during the work week. Frittatas are one of my favorite things to cook in the morning because they are so simple and so flexible, you can throw in just about any vegetables you have left in the fridge. Here’s a recipe that was inspired by one that my Mama cooked me just recently! I love me some Mediterranean flavors, so fresh and so tasty…olives, garlic, vegetables, beans, fish…delish! These ingredients are especially beneficial to anyone with rheumatoid arthritis or high-blood pressure. Scientific research shows that diets rich in fruits, vegetables, fish, nuts, and beans have disease-fighting properties. One study involving people with rheumatoid arthritis showed that those who followed a Mediterranean-style diet had significantly less joint swelling, tenderness, and pain, and also lowered blood pressure. Sounds good to me!!! This recipe was inspired by a cod recipe I typically steam over the grill, but because I had no fish in the freezer, chicken was the next best lean meat! I do highly recommend making this with cod, tilapia or halibut though, wonderful! I had planned to make a fun dinner for my family with a tuna tartare “appetizer”. However the tuna was so filling, I saved the rest of the dinner for the next night! I fried up some wontons to go along with it and we had ourselves a meal! This meal was perfect for my husband who has kidney disease and could even satisfy my daddy who has diabetes. I read that the American Diabetes Association and the American Heart Association recommend that you should include fish in your meal plan two or three times a week. So this recipe rocks! So it’s the summer right? The season of sun, BBQs, Sangrias and oh so sinful food LOL! Well I’ve done all that and then some, so to be able to get back into healthy eating with the start of this blog is so refreshing. We still have a couple of months of summer so now comes the opportunity to get back in shape, in time to show off those new bikinis and swim trunks! I discovered the original recipe for these burgers in an anti-inflammatory/rheumatoid arthritis meal plan and adjusted a few ingredients to further lower the calories and carbs. Oh what a love affair us sisters both have for food! 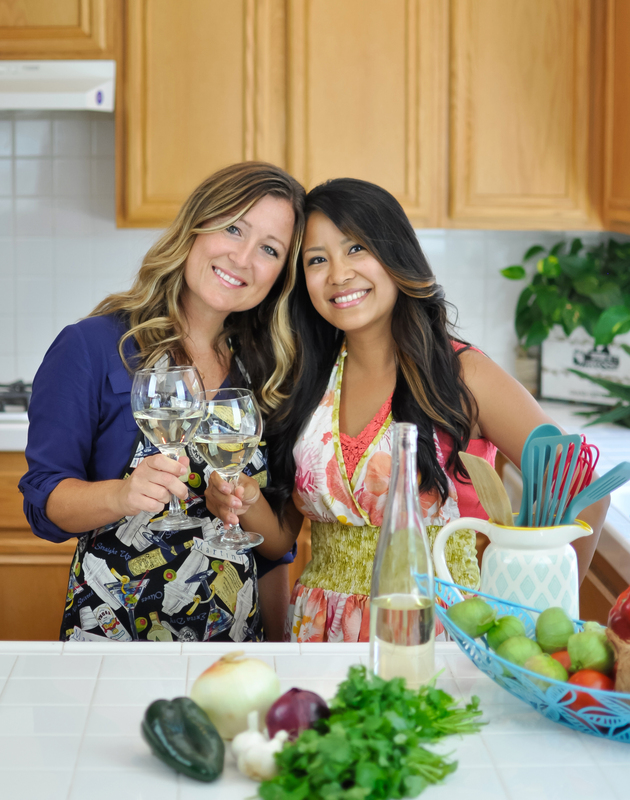 We’ve never attended any fancy culinary institutes and are not nutritionists or dietitians…We’re simply two passionate foodies who love to take care of our family’s eating habits, re-creating recipes to fit our family’s needs, and having fun in the kitchen! Oh, and we love our apron collection! We are, after all, apron junkies. With Family Apron, we’ll explore delicious and healthful recipes, adjusted and created to fit a variety of health needs. Along the way, we’ll also share our experiences with cool products and places to eat!